Gunmen storm a hotel in a remote part of northern Pakistan and kill nine foreign tourists. Gunmen stormed a hotel in a remote part of northern Pakistan on Sunday and killed nine foreign tourists and a Pakistani guide near the foot of one of the world's tallest mountains, police and security officials said. 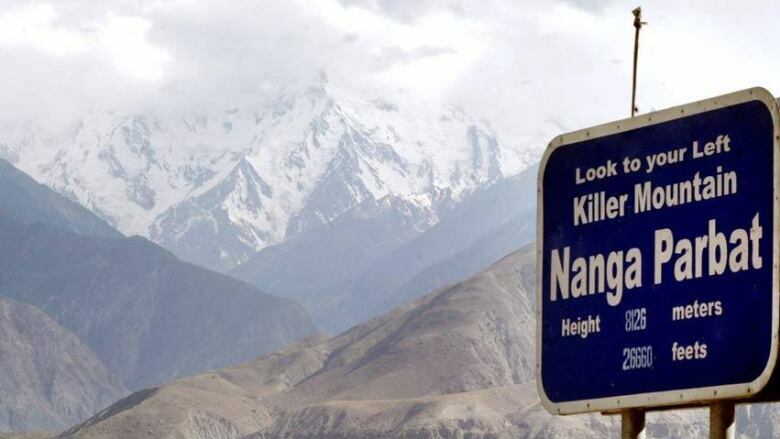 Five Ukrainians, three Chinese, a Russian and their guide were killed in the attack in a remote resort area near the base camp for the 8,125-metre snow-covered Nanga Parbat peak, a popular destination for adventurous trekkers, officials said. "Unknown people entered a hotel where foreign tourists were staying last night and opened fire," Ali Sher, a senior police officer in Gilgit-Baltistan province, told Reuters. Sher had earlier said 10 foreign tourists were killed, but officials revised the tally as fresh reports arrived from the area. A Pakistani militant group known as Jundullah claimed responsibility for the attack. "These foreigners are our enemies and we proudly claim responsibility for killing them and will continue such attacks in the future as well," Jundullah spokesman Ahmed Marwat told Reuters by telephone. The same group has claimed reponsibility for a series of attacks on members of Pakistan's Shia Muslim minority in northern Pakistan, including an ambush in February 2012 when gunmen shot 18 bus passengers by the roadside. The gunmen fled after the attack on the hotel, which took place at about 1 a.m. on Sunday, Sher said. "Since the area is very remote with no roads or transport, the bodies will have to be retrieved by helicopter," the official said. Gilgit-Baltistan, which borders China and Kashmir, had been considered one of the more secure areas of Pakistan, but has witnessed a spate of attacks by militants targeting members of Pakistan's Shia minority in recent years. It was the first time foreign tourists had been attacked in the province, which is famous for its natural beauty. Pakistan receives few foreign tourists, but a trickle of visitors is tempted by the spectacular mountain scenery in its northern areas, where the Hindu Kush, Karakoram and Himalaya mountain ranges converge.